Singapore’s local music industry’s golden era was the 1950s and 1960s, when there was a proliferation of singers and bands performing live and on radio and TV, and releasing records that sold well, sometimes even knocking internationally renowned groups like The Beatles off the local music charts. 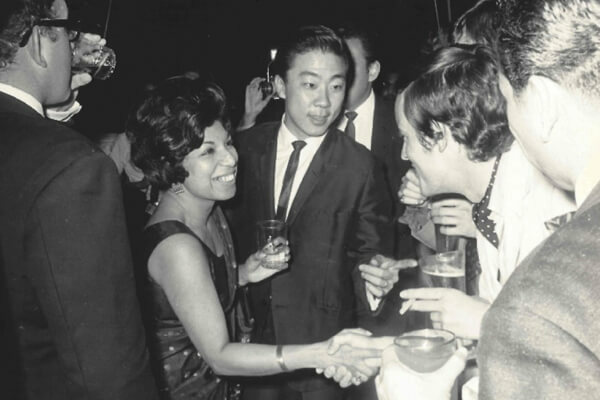 At the heart of the industry was Daisy Devan, who in 1957 was the first Asian to take the helm of a record label in Southeast Asia. It was Daisy who, as EMI’s Artistes and Repertoire Manager in Singapore, discovered and nurtured the career of The Quests, arguably the most successful local group of that time. She also discovered Sakura Teng and Rita Chao, and helped to shape the careers of Anita Sarawak, Tracy Huang, and Sharifah Aini, amongst many others. In the late 1950s, EMI opened the first recording studio in Singapore, at MacDonald House along Orchard Road. Daisy’s office was next to the studio, and it was she who decided which bands and singers to record and what songs they should play and sing. Little is known of Daisy’s early life other than that she was born in 1928. In the 1950s, she worked at the Société des Matieres Premieres Tropicales, the supplier of natural rubber for French tyre maker Michelin. Supported by a clerical team, she arranged rubber shipments, and looked after all the banking and insurance matters and export documentation. In a newspaper report in 1955, Daisy said she believed she was the only woman in Singapore with such a job. She was one of the founders of the Business and Professional Women’s Club, serving as the programme secretary in the club’s pro-tem committee in 1956. Women then were only just beginning to rise from the ranks of clerical and secretarial jobs and into management roles, and Daisy felt it was important for women to get together to exchange ideas and to support each other. In 1957 she was head-hunted by the Anglo-American recording giant EMI and sent for six months of training at its headquarters in England. 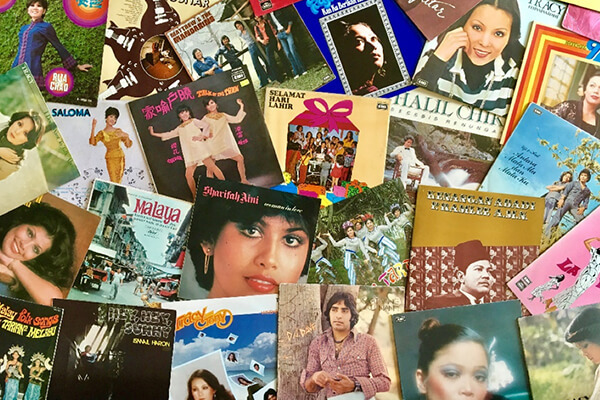 There she learnt all there was to know about making records – finding and nurturing talent, understanding markets and developing ideas, and producing and distributing records. She then visited EMI’s huge record producing facility in Dum Dum, India. This was then where most of the recordings done in Southeast Asia were pressed. When she returned to Singapore, Daisy set up Singapore’s first record-pressing factory in Jurong. She then opened a string of retail outlets across the island. She also went out talent-scouting, following up on leads passed to her about good singers and bands and getting those that caught her eye and ear to come for auditions at EMI. It was in 1964 that The Quests, who in the previous three years had built a name for themselves playing at live events and on TV and radio, auditioned before Daisy. She liked what she heard, but she wasn’t keen to sign them up if all they were going to do was continue to play covers of international hits. One of the band members, Henry Chua, said in a 2014 interview: “Mrs Devan said, ‘Come back next week with two originals’. Next week!”. The young men did as they were told and returned the following week with two songs, Shanty and Gallopin’. Daisy approved of both and decided Shanty would be the A-side. The single was released in October 1964 and shot to the top of the local charts, knocking off The Beatles’ I Should Have Known Better. The Quests remained in the top spot for an amazing 12 weeks. While commercial success was the main aim at EMI, Daisy believed the company also had a responsibility to document local musical heritage. So she found ways to record traditional Malay music such as keroncong; songs in Kristang, the Portuguese-Malay creole language; children’s songs; and Qur’anic recitation. 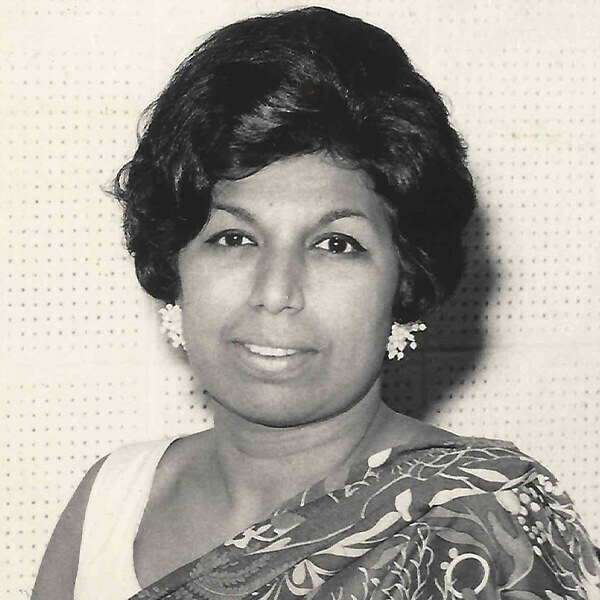 When Singapore separated from Malaysia in 1965, Daisy was the executive producer for the original recording of the national anthem, Majulah Singapura. Competition, and especially the illegal competition of pirates, started to take its toll on the local music industry during the 1970s. In the early 1980s, EMI began to scale down its operations in Singapore and Daisy retired from the music business. She and her husband, Albert Devan, then started and ran for many years one of Singapore’s first health food stores. Following her husband’s death, she led a quiet life and died, aged 81, in 2009.